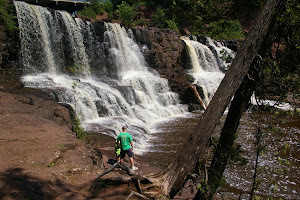 Access to Minnemishinona Falls has been given to the general public in recent years. In the mid-2000s, Nicollet County obtained the site from private ownership. The larger falls are a 42-foot waterfall, relatively recently a much smaller waterfall has developed slightly upstream from the main waterfall.